I will be on vacation the next two weeks. Alas, Login doesn't get such generous benefits, so my colleagues will be putting out the newsletter next week. You will, however, have to entertain and educate yourselves the week of Aug. 13 when both Login and I will be on vacation. We return Aug. 20. 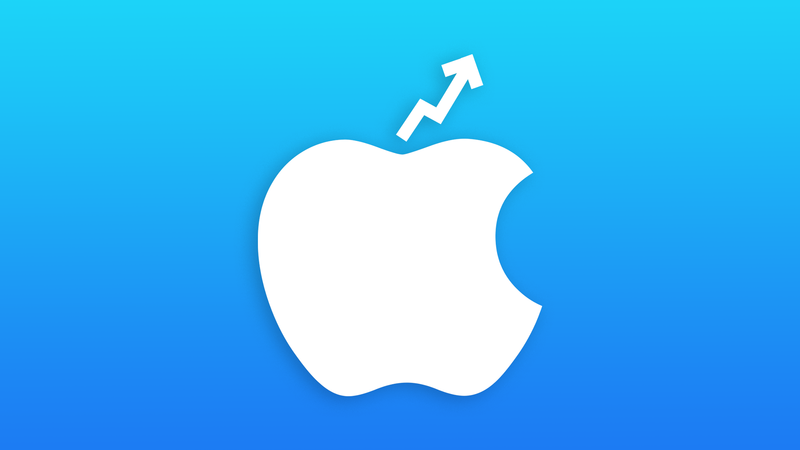 As you undoubtedly heard, Apple briefly topped $1 trillion in market cap, becoming the first U.S. company to do so. In and of itself, it's an arbitrary and not terribly meaningful milestone. But Apple's size really does matter. iMac — Introduced by Jobs in 1998, the brightly colored translucent computer allowed Apple's core business to recover and grow, and re-established the company as the leader in cool, unconventional thinking. iPod (and iTunes) — It's hard now to state just how bold and important Apple's move into music was for the company. The iPod showed the world, and the company, that the values, aesthetics and approach Apple had developed with computers, could be applied to entire other industries. iPhone — Obviously Apple owes much of its trillion dollars in value to the iPhone. While there were other smartphones before it, Apple literally changed the shape of the industry with the introduction of the multi-touch device in 2007. For more on Apple's transformation from near insolvency to $1 trillion in market value, the New York Times' Jack Nicas has a great recap here. Apple CEO Tim Cook: "While we have much to be proud of in this achievement, it’s not the most important measure of our success. Financial returns are simply the result of Apple’s innovation, putting our products and customers first, and always staying true to our values." CNBC flashed back to Apple's 1980 stock offering, which Massachusetts regulators banned from being sold there as too risky. BusinessWeek trolled itself, posting a photo of its 1996 cover story on Apple, "The fall of an American icon," with the comment "LOL." And while I usually hate it when people compare market cap to GDP, I have to applaud this effort. "Apple’s trillion dollar valuation is equal to the GDP of the state of Florida, but that’s comparing apples to oranges." What's next: The big question now is what the next trillion dollar company will be, with most eyes on Amazon. As for Apple's future, the question now is whether Apple can use services, cars or another breakthrough to keep the growth going. Axios' Jonathan Swan and David McCabe had the scoop Thursday on a letter from Rep. Kevin McCarthy to House Energy and Commerce Chairman Greg Walden asking him to publicly grill Twitter CEO Jack Dorsey over recent allegations that the platform limits the reach of some conservative accounts. Why it matters: Republicans politicians are embracing anger among conservatives who say online platforms are censoring their voices. Majority Leader McCarthy also needs the backing of more conservative lawmakers if he wants to replace Paul Ryan as speaker of the House should Republicans keep the chamber in November. "Even well-intentioned algorithms can have unintended consequences. I look forward to welcoming Mr. Dorsey to testify before the Energy and Commerce Committee at a date and time to be agreed upon," Walden said in a statement. A committee source said that a formal invitation to the company would be forthcoming. Dorsey is already planning to testify to the Senate Intelligence Committee in September, a source told Axios last month, at a hearing on disinformation and elections. Go deeper: Jonathan and David have more here. At two minutes and 46 seconds in duration, Snap’s first shareholder meeting yesterday was hardly a model for corporate governance, reports Axios' Kia Kokalitcheva, who diligently listened to the entire meeting. During the meeting, Snap’s associate general counsel, Atul Porwal, had only one item on the agenda, which was to announce that co-founders Evan Spiegel and Bobby Murphy approved the election of Snap’s board members. And that's all that's needed, given the duo jointly own 96.4% of the voting power. Where were the shareholders? According to Porwal, no shareholder questions were sent in, despite the fact that they could submit them via email, according to a July notice. To be fair: Snap is part of a growing trend of companies forgoing the in-person meeting for a virtual one, a move proponents argue is more efficient and accessible for all shareholders. Yes, but: In-person meetings historically have offered a rare opportunity for CEOs to be questioned on all manner of issues related to the company, from stock performance to ethics. The bottom line: The choice to hold the short, audio-only meeting isn’t the best look for a company whose stock price has been on a decline since it went public in early 2017. That said, investors knew they were buying a stock in which they would have no direct say-so. The nascent cryptocurrency industry is making headway with mainstream investors, but there are still big concerns over insider trading and other unethical behaviors, Kia reports. Why it matters: Unlike the traditional investment markets, which are overseen by multiple government agencies, companies and funds dealing with digital tokens are largely left to self-regulate. This could leave retail investors unfairly disadvantaged without the same levels of information, and remain a hurdle to getting institutional investors comfortable with crypto-assets. Go deeper: Kia has more here. The Black Hat USA security conference begins this weekend in Las Vegas. Former Microsoft and Amazon executive Charlie Kindel has joined smart home vendor Control4 as SVP of products and services. Dan Primack had an interview with Sonos CEO Patrick Spence as the company began trading Thursday after a lower-than-expected IPO pricing. Comcast is partnering with Amazon to bring Prime Video to its X1 by year's end, giving customers access to Netflix, YouTube and Amazon all from within the Comcast set-top-box. Google is close to ending its nearly year-long ban on addiction center advertising, starting with a limited number of pre-vetted ads, per TechCrunch. Luxury diapers for chickens are a thing, and apparently Instagram is to blame.